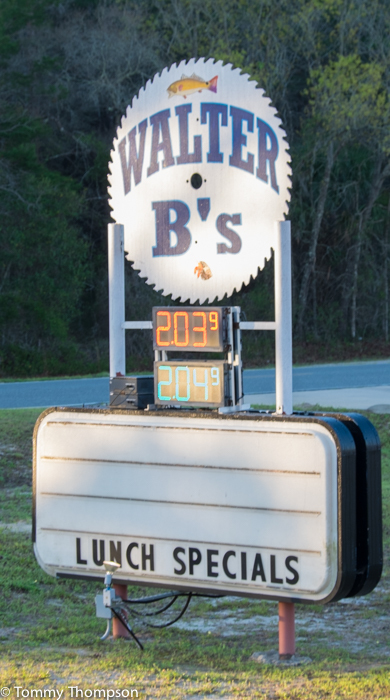 I’m sure if you plugged “15729 Beach Road, Keaton Beach, FL” into you GPS, it would take you to Walter B’s store. 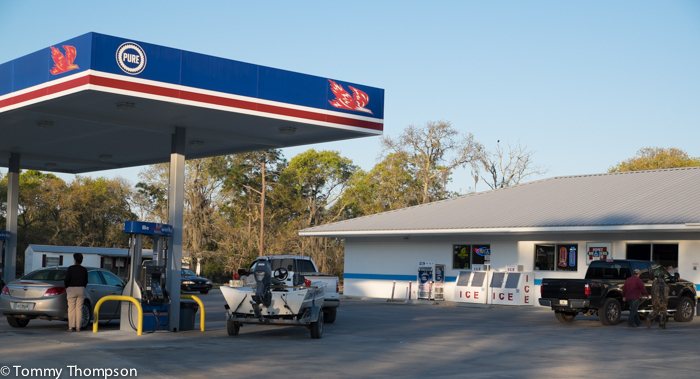 However, if you’re headed south from Perry down Beach Road (CR361) towards Keaton Beach, Adams Beach, Dekle Beach or Steinhatchee you’ll encounter this nice store, with gas, groceries, fishing tackle, kayak rentals–and even slow-cooked BBQ! The store is just south of the intersection of Ma Dixon Road (the road to Spring Warrior Creek and Fish Camp). Owner Walt Sessions has had the store since 2015 and is making improvements on an almost daily basis. Fresh-cut Sanderson Farms meat is available, as is gas for your boat and car. You’ll also find a large selection of groceries and staples for your fishing camp or rental home on the coast. 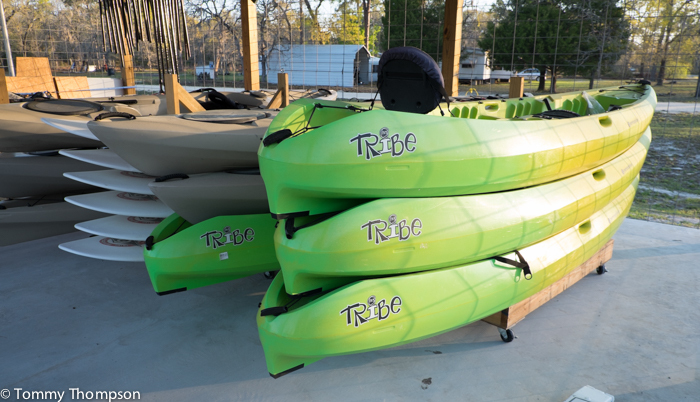 Walter B’s also offers kayak and padleboard rentals, as well as a full line of MirrOlure and Slick lures. Food options include full breakfasts, as well as sandwiches and BBQ. And word has it that they’ll soon be selling ice cream treats–just in time for summer!